Moose Jaw is a city in Saskatchewan, Canada located along the Trans-Canada Highway (Highway Number 1). I’ve driven by many times without stopping in the city. That changed on my most recent prairie road trip when I took time to go into the city and take one of the tours offered by the Tunnels of Moose Jaw. Moose Jaw was founded in 1882 when the Canadian Pacific Railway made it a divisional point and built freight yards and repair facilities. Another railway link was completed in 1893 – the Soo Line from Chicago. In addition to the railway presence, agriculture was a key part of the city’s economy. So where do the tunnels come in and what are they? They are passageways and corridors connecting basements, storage rooms and hidden chambers. They were covered up for years, although rumours existed about their existence and there were differing stories about their purpose and use. A few tunnels have now been rediscovered. There are still differing stories about their history and origin, but the most likely explanation is that their earliest use was as utility tunnels between buildings. Steam engineers who maintained boiler heating systems constructed the passageways so they would not have to exit one building to get to the next, thereby avoiding constant extreme temperature changes between the intense heat in the boiler rooms and the bitter cold outside. Eventually, as boilers stopped being used, passageway entries were covered over. 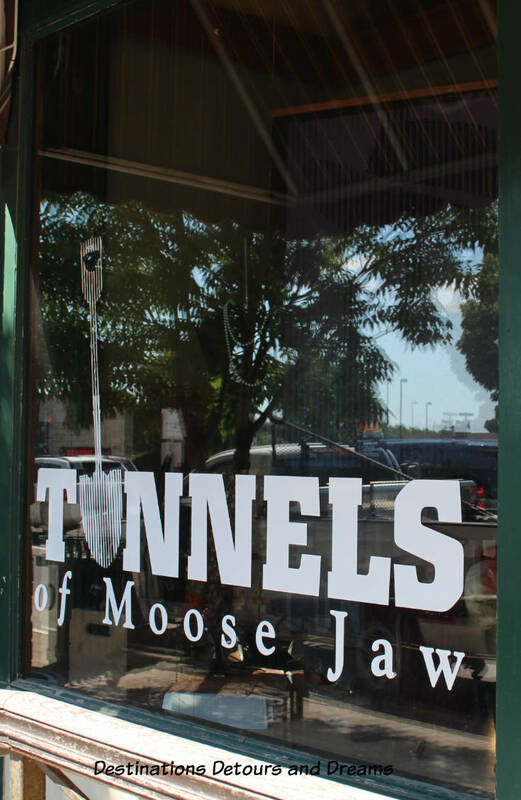 The tunnels became the inspiration for two tours offered by the Tunnels of Moose Jaw. The tours combine live actors, multimedia and period detailing to entertain, convey bits of history, and inspire imagination.The tours take place underground in a combination of original and recently constructed spaces. Much of it is in basement areas. The original tunnels were dirt. Any original space used in the tours has been reinforced with concrete. The tour I took was the Passage to Fortune, which tells the story of early Chinese immigrants to Canada. Our tour group became Chinese immigrants and travelled through Burrows and Sons Laundry and the kitchen of Mr. Wong’s Café, as we learned the history of Chinese immigrants. Their story was hard. In the mid to late 1800s, Chinese immigrants came to Canada seeking fortune in the gold rush and to work on the Trans-Canada railway. They were primarily from rural areas, forced to find livelihood elsewhere because of war and rebellion in China. Their work was instrumental in completing the railway linking the east and west coasts, but they were treated poorly. In 1885, the Chinese became the only ethnic group to pay a “head tax” before being admitted to Canada. The amount of the tax was increased a couple of times before the Immigration Act in 1923 suspended Chinese immigration with a few exceptions, such as merchants, diplomats, and foreign students. 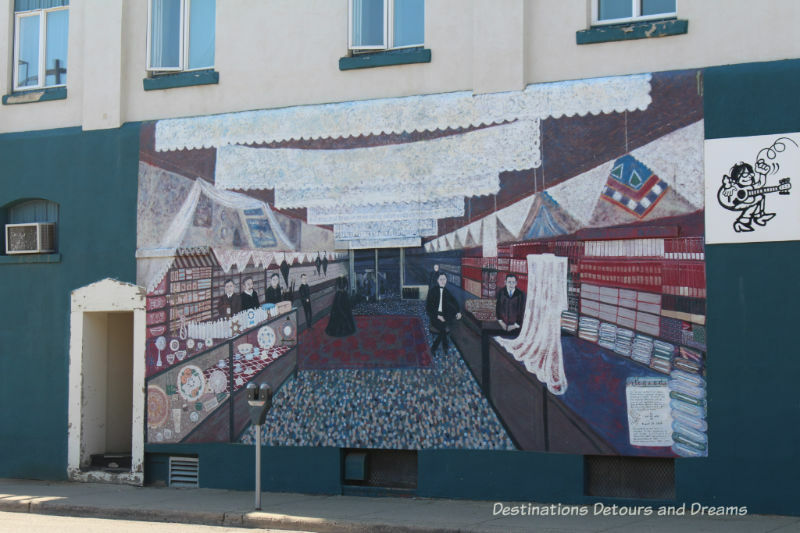 In the early 1900s Chinese immigrants arrived in Moose Jaw to work for very low wages. They may have lived in the tunnels in order to survive on their meagre wages and to escape hostility. Because the tunnels were located next to boilers in basement, there would have been enough heat to survive in winter. The head tax made it expensive to bring families to Canada. May of the immigrants were men on their own, working and sending money to support families back home. In 1947, the discriminatory legislation was repealed. Since then Chinese immigration has been mainly families. The characters we met on the tour were fictional, but based on true situations. The first Chinese people in many Canadian cities were laundrymen. And it was common for each small town to have a Chinese restaurant. The tour brought the Chinese immigration story to life in a very interesting way. During Prohibition in the 1920s, Moose Jaw became a hub for bootleggers using the rail connections to the United States. Bootlegging, gambling and prostitution thrived in the city. It is this era which forms the basis for the second tour: The Chicago Connection. In this tour, you enter a speakeasy and prepare for the arrival of Al Capone. 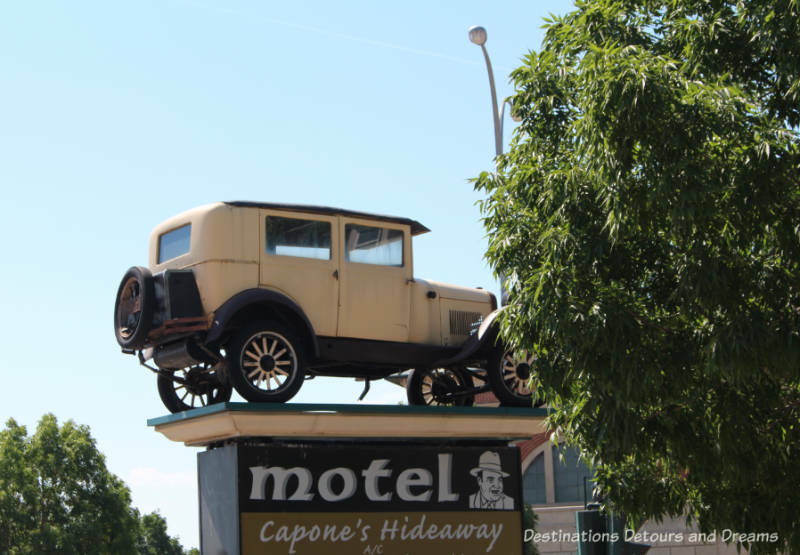 Although a handful of personal stories exist about people meeting Al Capone in Moose Jaw, there is no physical evidence to show he was ever in the city. Al Capone or no Al Capone, there is evidence that bootleggers and gamblers were common in the city known as “Little Chicago.” My sister took this tour two weeks before we went on the Passage to Fortune tour and said it was fun. Pictures are not allowing during the tours. 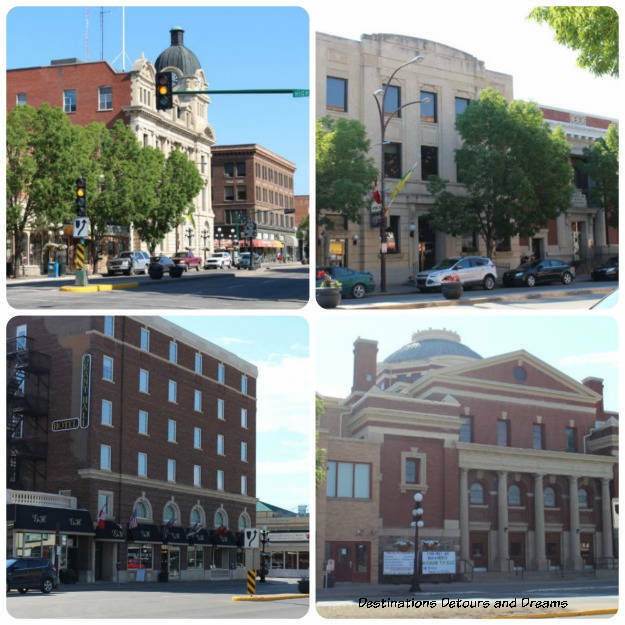 But I will show a few photos of Moose Jaw’s Main Street, lined with many old buildings housing unique and funky shops and a variety of cafés and restaurants. 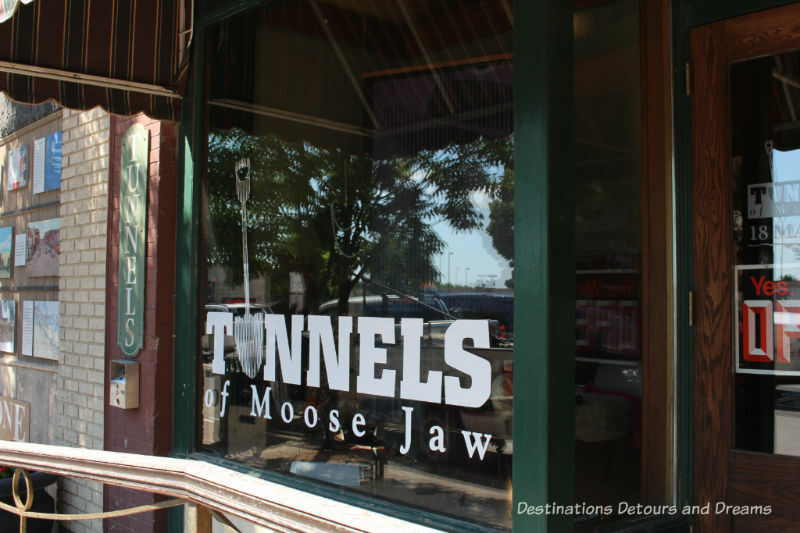 Each Tunnels of Moose Jaw tour accommodates 15 guests and runs for 50 minutes. The Chicago Connection tour has several flights of stairs. The Passage to Fortune tour has one short flight of stairs, which is also equipped with a lift. I have mild claustrophobia. Even though we were underground, spaces were large enough not to cause me any issues. Tours can be booked on-site or in advance online or via phone or fax. The tunnels are open year round except for Christmas Day. Some minor exceptions apply in the winter months. Check the Tunnels website. Take some time before or after the tour to wander down Main Street. Metered parking is available on the street. Vehicles with out-of-province license plates do not need to plug the meters. As long as they are legally parked (i.e. not in a handicap zone, fire lane or non-parking area), they will not be ticketed. 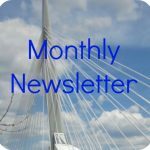 Other attractions in and around Moose Jaw include the Western Development Museum, Sukanen Ship Museum, Saskatchewan Burrowing Owl Interpretative Centre, and the Temple Mineral Spa built around mineral springs. Some things to stop and check out on a future road trip, perhaps. We took the Al Capone tour back in 2005 on our way to Alaska. It was fun and interesting. Whether Capone was there or not, it is worth the visit. Eva, that’s what my sister said about that tour too. Underground tours like these are really fun. A friend and I took an underground tour of our city. It highlighted the city’s history and flood that changed it. It was a cool tour. Susan, it seems that more cities are starting to discover some of their history underground. Interesting and fun stuff. How could you possibly drive down the highway, see a sign that says ‘Moose Jaw’ and not stop by? The tours should really interesting. I think I would have gone for the Chinese immigrant one as well. Ken, Saskatchewan has a lot of interesting town names! The tours are worth stopping for. I’ve driven across Canada many times but haven’t spent much time in Moose Jaw. The Tunnels of Moose Jaw and the Temple Mineral Spa make it sounds as though it’s definitely worth an overnight. Michele, I only stopped for a few hours, but I do think Moose Jaw is worth an overnight or two. This is like the Underground Tour of Seattle! Is it also because they put a layer above the original town? 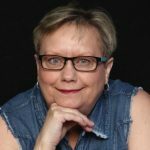 Carol, Moose Jaw’s underground is different than Seattle’s. There is no other city underground. No layer built above. The tunnels were purely for connecting basement boiler rooms. I think it’s interesting how different cities are discovering underground history and it’s all a little different. There are tunnels in Mexicali where the Chinese immigrants lived as well. I love these subterranean spaces. Elaine, I didn’t know about the tunnels in Mexicali. Are there tours there as well? Anita,I agree that the story of the Chinese immigrants is both sad and inspiring. 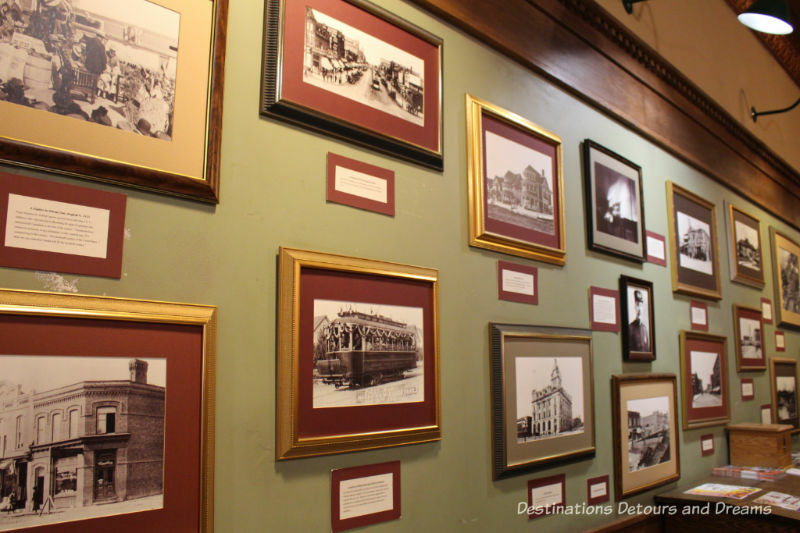 And I did enjoy seeing how the city changed over the years through the photos in the lobby. 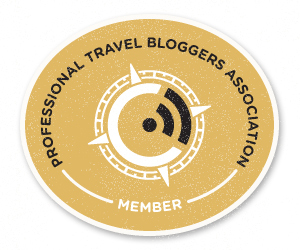 Doreen, did you do both tours or just one? I wonder if the tours have changed at all over the years. Suzanne, it is amazing what secrets are hidden underground. More cities seem to be discovering that. And who knows, you may indeed one day pass a sign that says Moose Jaw. Moose Jaw certainly offers a lot. I found your tunnel tour and the Chicago Connection both well worth taking. I love history and I appreciate the unusual. 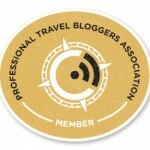 I really enjoyed your article! Thanks Marilyn. The tour was fun and full of history. This sounds like super fun and even if Capone wasn’t there, I get a kick out of those kinds of stories. Not far from Moosejaw, is Havre, Montana. They also have some amazing history where they also have underground tunnels where businesses were located . Just was there and toured through them. amazing history! Well worth seeing! 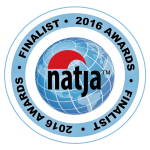 Juanita, I did not known about the tunnels in Havre. I will remember that should I be in that area. It would be interesting to tour them.